After getting bored of the usual, uncustomizable stock launcher of your Android device, most of the people will suggest you to use a custom launcher along with an icon pack. Well, there are many icon packs with trendy Material design & colors. But, I bet you’ll end up getting bored of the same Material designed Circle/Square icons. Most of the icon packs don’t even have all the icons of the Apps in your device, which makes the entire pattern look ugly. At the end, you got no choice except rooting and going for another ROM. What if I tell you that you can actually get a beautiful & unique customized launcher? I am sure Kent Icon pack won’t disappoint you in any way. You’ll find the reason behind this statement by the end of the post. 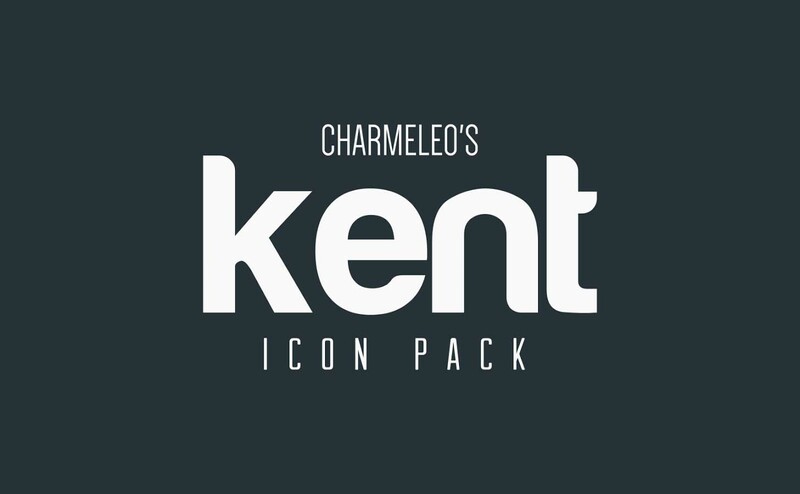 Unlike any other icon pack, Kent Icon Pack comes with Hexagon shaped icons. You might be wondering, what’s new in that? The answer is, this icon pack is simply a beast of graphical design, containing not just a hexagonal shape, but also classic flat design, material-design colors, material-design shadowing/lighting & glare effect. I bet you won’t find this many stuff in a single icon pack. Most icon packs have screenshots taken from high end, beautiful smartphones which show that your device will look similar to that after installing it. But, after installing it looks like complete crap! You’ll be like “But, but, but… That looked perfect in the screenshots ! ” 🙁 Well, Kent Icon pack stands a bit different, you can see the screenshots taken from different Android devices after installing Kent. And many others with manual application. Along with 700+ Icon pack, you get more than 10+ Pure HD potrait Wallpapers that fit perfectly with the Icon pack i.e you don’t have to search everywhere to find the perfect wallpaper that fits with the theme. They’re Hexagon-inspired too, so, no more browsing around for a matching wallpaper ! If you want a few icons of your choice or want to add new icons in the pack, the developer will get it done. All you have to do is open Kent, go to the ‘Request’ section to request your icons. You can also follow Charmeleo to provide bug reports and improvements for the App. Note: Icon Request feature is only available in Premium version as it is too hard for the developer to provide everything for free. If you liked the app & want to make more customizations over it then you should buy the Premium version. It is pretty awesome. The developers provide trustworthy and good support. What are you waiting for? Try the free version. They don’t have ugly ads and popups that force you to buy the premium version. It is only 9.3MB & its for free. We would suggest you to give it a try as you have nothing to lose. We have seen many improvements and new features in the icon Pack. The developer promises to provide more and more icons & wallpapers with each new update. You just can’t expect anything more than this from free stuff. We would love to hear your experience with this icon pack in the comment section.